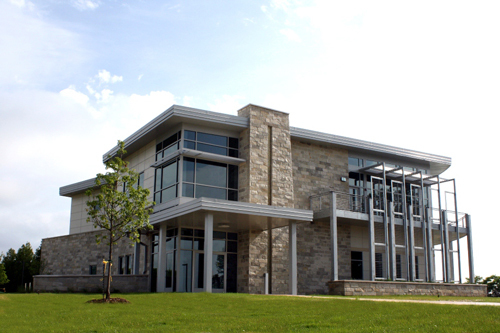 Situated 135 feet above majestic Lake Michigan on the southeast Wisconsin shoreline, the Concordia Center for Environmental Stewardship or CCES, is perfectly positioned as a primary study center for a variety of environmentally-oriented academic, outreach and research areas. Our programs focus on freshwater and Great Lakes studies, with access to over 3/4 mile of Lake Michigan shoreline, coastal and perched wetlands, hiking trail and beaches. Programs are available for elementary, secondary, and college age classes, as well as research opportunities in coastal ecology, renewable energy, and environmental stewardship. In addition, CCES hosts several major public events throughout the year, including the annual CCES Environmental Art Show, the MAS Natural Landscapes Conference, and numerous open houses and community events. Our beautiful award-winning and LEED Platinum rated facility is home to numerous aquatic and wildlife displays as well as a spectacular view of Lake Michigan from our terrace and 2nd floor balcony. CCES is open, free of charge, to the public from 8:00am-5:00pm Monday-Friday and 10-2 Saturdays (closed during January). For more information on our programs and facilities, please contact us at (262)-243-2237, by email at swccces@cuw.edu.